but one I grew in my little native garden. under its canopy of vegetation. of blooms on this one plant. of this species next year. 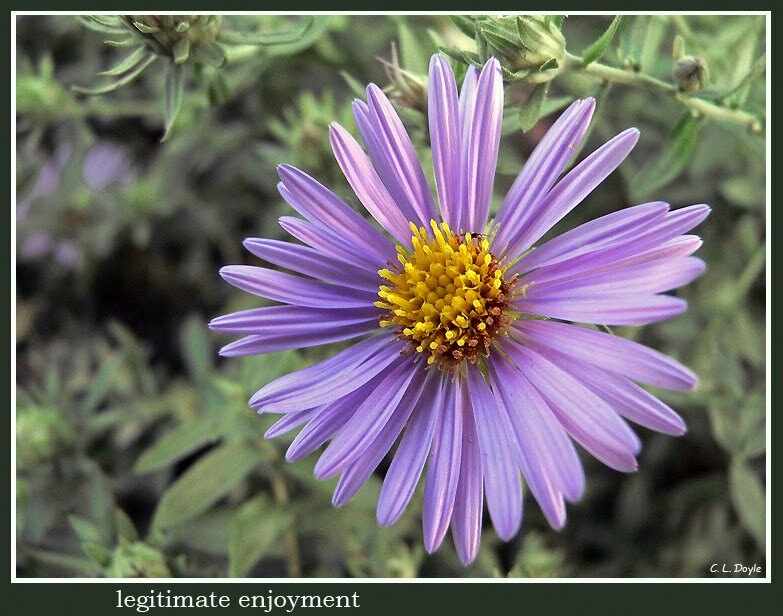 It is called "October Skies"... Aster oblongifolius. The butterflies and particularly the bees love it. reducing him to a block."